On Tuesday, the Dr. Phil Show aired the first of two segments featuring Elaine and Mark Redwine, the parents of 14-year-old Dylan Redwine, who went missing in November from his fathers home in Vallecito. The interview marks the first time that the Redwines, who are divorced, have spoken to each other in three years. Elaine Redwine said the whole purpose of her appearing on Dr. Phil was to talk to her ex-husband. Mark said he agreed to appear in the hopes it would help efforts to find Dylan, and at one point attributed his erstwhile refusal to speak with Elaine to her inability to have a civil conversation with him. Dylan was reported missing by his father on Nov. 19, 2012, less than a day after Dylan arrived in La Plata County for a court-ordered visitation during Thanksgiving. In promoting the interview, Dr. Phils team did not dwell on the Redwines anguish as parents searching for their lost child. Instead, the program billed Dylans kidnapping as a national mystery and produced a promo titled Whos to Blame? showing Elaine and Mark trading bitter counter-accusations and Dr. Phil occasionally intervening to encourage the blood sport. During the televised interview, Elaine repeatedly insisted that Mark had something to do with their sons disappearance, and Mark  when he was not on the defensive  stated his unsubstantiated but strong belief that his wife was involved. I didnt lose Dylan, Elaine, Mark said. Thats a question we all have to ask, he said. No, you have to ask that question. You were the last one to see him. Where is he? she asked. At the beginning of the program, Dr. Phil told Elaine that he wasnt going to do a hatchet job on her ex-husband. Mark, who had been on stage for about three minutes, clarified that he was lost in the world without Dylan. 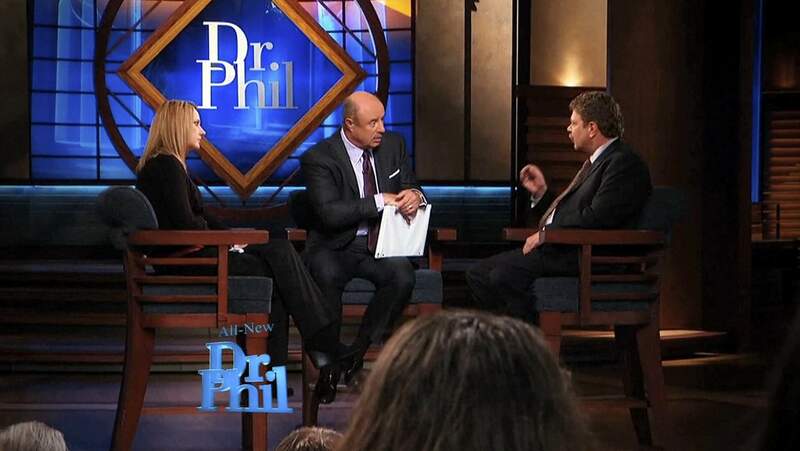 Dr. Phil promised this one would be conducted by the best in the world. Meanwhile, investigators are hoping that the media exposure will again rivet the publics attention on the case, which  despite multiple searches of the area, the efforts of various law-enforcement agencies and a $50,000 reward  has grown increasingly cold. Mark and Elaine Redwine traded barbs during their appearance on the Dr. Phil Show on Tuesday. A second episode with the Redwines will be shown today. Anyone with information about the whereabouts of 13-year-old Dylan Redwine is asked to call La Plata County Sheriffs investigators Dan Patterson at 382-7015 or Tom Cowing at 382-7045.